Connect swiftly and securely with students, teachers, and colleagues through the Cisco WebEx Collaboration Cloud. Reach students where, when, and how they’re most receptive to learning. Tailor instruction to individuals by using advanced interactive features. Deliver lectures and tutorials from anywhere to anywhere. Enhance communication internally and externally to keep all members of the education community on the same page. Remove the burdens of support and maintenance through the WebEx Software-as-a-Service (SaaS) delivery model. 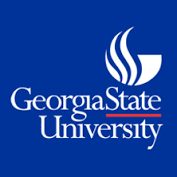 Business Impact: WebEx offers GSU the ability to transform processes for increased productivity and innovation, while substantially reducing IT infrastructure cost and complexity. Users can quickly identify subject matter experts, gather group feedback, co-author documents, / immediately with ready access to mentors, relevant communities based on their course of study, class syllabus, reading lists, and links to informational videos.